It’s clear what it means to be prepared for tomorrow's economy. Already, three-quarters of the fastest-growing occupations require education beyond a high school diploma, with science, technology, engineering, and mathematics careers prominent on the list. However, our schools aren't preparing enough of our students for that reality. Today, the United States has one of the highest high school dropout rates in the world. Among students who do complete high school and go on to college, nearly half require remedial courses, and nearly half never graduate. Yet in today's world, a college degree or advanced certificate increasingly represents the entry ticket to rewarding careers and fulfilling lives. In today's world, our graduates will compete against the smartest young people from across the globe. But in today's world, the United States ranks 12th in college attainment. As President Obama has said, "It is our generation's task ... to reignite the true engine of America's economic growth—a rising, thriving middle class." Reigniting that engine depends on education, preschool through 12th grade and beyond, strong enough to prepare all students for college, careers, and the innovation-based economy in which they will make their living. For our public schools, from kindergarten through 12th grade, the Obama Administration created a coordinated set of initiatives that unleashed a wave of innovation and reform at the state and district levels, while continuing to ensure quality services for the most vulnerable students. The reforms sought to make improvements in the critical elements of education systems: excellence in teaching and school leadership; high standards for what every student should know and be able to do; next-generation assessments and data systems used to drive school improvement; and technology infrastructure to support 21st century learning. Now, teachers, principals, and whole communities are leading our public schools through a period of enormous change—which has led to positive results for students across the country. Quality preschool: The Obama Administration has invested $1 billion to provide preschool to every child, and more than half of states have dramatically boosted their own investments in early learning. Through the Obama Administration's Race to the Top - Early Learning Challenge program, 5.2 million children from low-income families in 20 states will benefit from high-quality, seamless state early learning systems that link education, health, nutrition, and family supports. Additionally, 18 states are building or enhancing their infrastructure to provide high-quality preschool and expanding programs in high-need communities through Preschool Development Grants. These states will serve as models for expanding preschool to all 4-year-olds from low- and moderate-income families. Higher standards: Today, more than 24 million students have access to higher standards than they did a few years ago. That includes approximately 4 million black students, 3.5 million Hispanic students, 2.8 million students with disabilities, and 1.5 million English learners. States are driving this effort. More useful assessments and data: The Obama Administration has invested $360 million in two consortia of states that have developed new assessments aligned to college- and career-ready standards that move beyond traditional bubble tests, focusing more on critical thinking, problem solving, and writing. 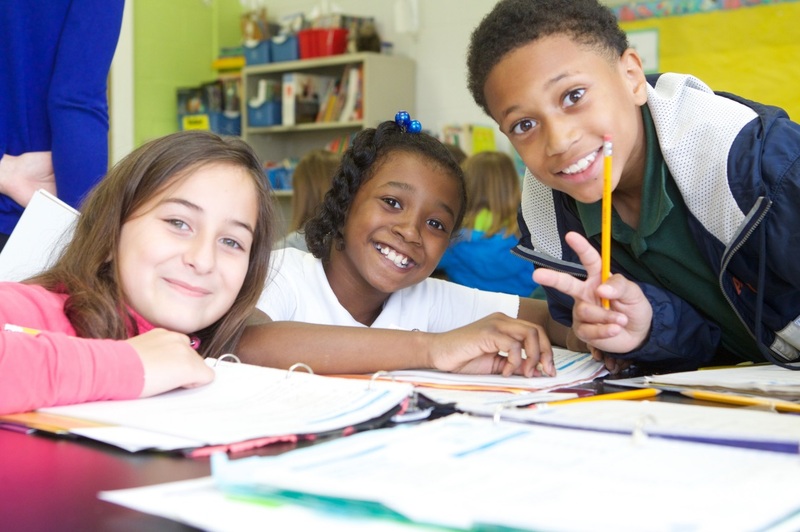 The Excellent Educators for All Initiative aims to help states and school districts support talented educators for the students who need them most. New regulations will strengthen teacher preparation, building on innovation already happening across the country, by requiring states to determine how the teachers they train are doing in the field. These new rules will help to ensure that teacher prep programs do what’s most important—prepare teachers to do a great job teaching kids, from the first day they step into the classroom. Teach to Lead, co-managed by the National Board for Professional Teaching Standards, works to advance student outcomes by expanding opportunities for teacher leadership—particularly those that allow teachers to stay in the profession they love. Civil rights and discipline: In January 2014, the U.S. Departments of Education and Justice released a first-ever package of guidance and resource materials intended to help schools and districts address the overuse of exclusionary discipline and disproportionate rates of discipline for students of color and students with disabilities. The Civil Rights Data Collection also shined a spotlight, for the first time, on opportunity gaps across a range of indicators, including student retention and access to rigorous coursework. A first-ever summit in the summer of 2015 convened by the White House also brought together teams of educators and administrators from across the country to discuss positive school climates. College affordability: Our historic investment in student aid for college, a far simpler Free Application for Federal Student Aid (FAFSA), and better college-shopping tools also are pushing America closer to the goal of once again leading the world in college completion. College continues to be the best investment people can make in their futures. Americans with four-year college degrees made 98 percent more an hour on average in 2013 than people without a degree. That’s up from 89 percent five years earlier. OECD estimates that the return on investment for a college degree is 10 to 15 percent—greater than most financial investments.